These muffins are delectably moist and full of brown buttery, blueberry, lemony goodness. 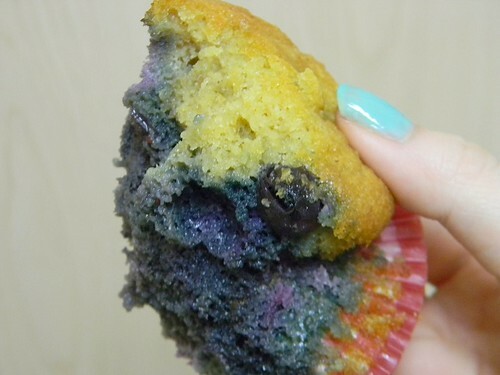 My siblings think that they taste like those store-bought blueberry breakfast muffins but better. If you haven’t guessed already, they were made from Elana‘s Gluten-Free Cupcakes. I did hardly anything to change them, only subbing browned butter for the grapeseed oil, because I thought it would be fun, and honey for agave. Her recipes are that fine-tuned and simple. The blueberries were flash frozen (they were bought fresh). If you haven’t flash frozen your food before, it’s a very easy thing to do – blueberries being the most common, apparently, according to Google. All you do is wash the blueberries, dry them thoroughly, spread them out a pan, making sure none of the berries touch each other, and freeze. After about an hour they’re ready to be popped into a bag until they’re needed. I’ll do a post all about flash freezing one day. The video you’re about to watch is entirely shot and edited and uploaded to the Internet – YouTube, Vimeo, and Facebook – with my iPod Touch. (Or maybe you’ve watched it already one of said sites; in that case, I hope you gave it a thumbs up/liked it.) It’s also my first cooking video made with the iPod, so very exciting! I had a lot of fun doing it, so much so that I think I started to fall in love with the whole process of it, including recording my voice, which I have before been unnerved by (I disliked playing my voice back when I had to record myself, which generally made me cringe). Preheat oven to 350°F. 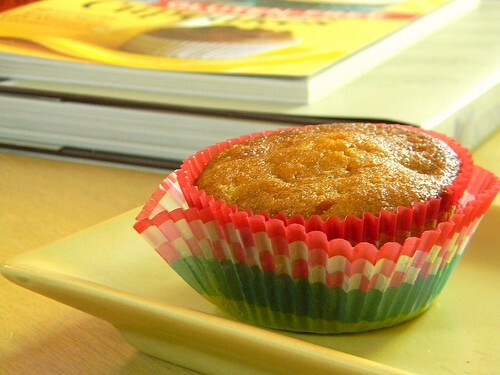 Line muffin cups with paper cupcake liners. Mix the coconut flour, salt, and baking soda in a large bowl. Scoop 1/4 cup batter into the prepared muffin cups and bake for 22 to 26 minutes or until golden and a toothpick comes out clean. Remove from oven and cool completely in the muffin tin. WOW! All that was done on an ipod? I am impressed! The more I try the recipes from Elana’s book the more I enjoy them or prefer them to regular non-gluten free muffins. These are so moist and are really a great breakfast snack. Hi! I don’t normally leave comments on blogs, but I just had to today as these muffins are so delicious! I tweaked slightly – used the frozen cherries I had instead of blueberries, and used orange zest rather than lemon. They were so good. Thankyou for posting the recipe, it is really appreciated. These sounds so great. I love browned butter, but I can’t handle regular butter. Even the tiny bit of milk solids in there bothers me. Do you know if you can brown ghee? Maybe I could sub, cause I can handle ghee.